Connected to too many reasons to list, I have finally decided to offer Virtual Coffee/Deep Listening sessions (along with food still!) on my website. I have been doing these sessions for years now, and have seen the value and difference they bring to people’s lives. Enough value, that people are excited to see me offering them publicly! Before I actually offer them on the site, I’ve decided to gift (well, in exchange for feedback) three sessions - one on Instagram, one on Facebook, and another has already been reserved. ...and, sometimes Reiki is involved if it helps. I want to be sure to make the point that I am not a therapist, which can be good, since not everyone needs to hire a therapist and deal with insurance. And. I am quick to tell people when I see the need for a therapist, since I want people to have the support they need (and I clearly have my limits). I’ve also found that sometimes people just need someone to talk to who is not a close friend, either, depending on their comfort level/delicacy of the conversation. For the record, I’m happy to talk with you if you are a close friend as well...and...you already know that. If this offer appeals to you, please PM me, and let me know why/what you would look to gain from a session, and we can see if we are a great fit. Or, please pass the info on to someone who could benefit. If you are someone who has benefited from this in the past, please PM me as well, and let me know how. I may include your words on my site - with your permission, of course. I am so excited to finally do this work with more people in the world. Thank you. I am so excited to be hosting our first multicultural cooking workshop with Veronica Zavaleta (information about Veronica is included at the end of this post)! 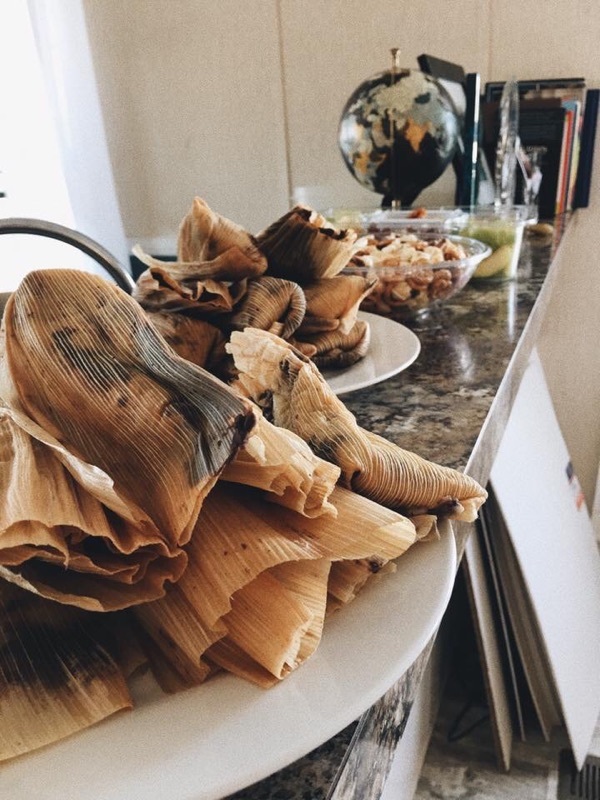 She will be teaching how to make both savory (meat-based, vegetarian, and vegan) and sweet (vegan) tamales; along with Jamaica, a hibiscus-based tea. You will also take home six tamales! These workshops are not only about learning how to cook. They are also about connecting with women from other countries/cultures, and learning more about them and their day to day lives and issues...over delicious, nourishing food. We would love to have you. I'm not sure how many artists I've met through the Nashville Creative Group (started by Beth Inglish), but I am positive it is quite a few. I definitely met Joseph Heckle through the group, and have enjoyed watching him evolve as an artist. As you will experience here,  Joseph's paintings and music have such depth. So does his mind. I love interviewing creatives, and reading through their q&a's...and every so often, I will get a set I especially enjoy. Joseph's would be one of those. I hope you will take the time to enjoy as well.